Lush Fab Glam Inspired Lifestyle For The Modern Woman: Elle Magazine Celebrates 25 Years with Star Studded Covers! Elle Magazine Celebrates 25 Years with Star Studded Covers! 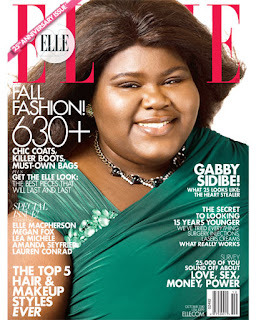 Elle Magazine is celebrating 25 years in the magazine industry, their October 2010 issue has four covers featuring actresses, Megan Fox, Amanda Seyfried, Gabby Sidibe and Lauren Conrad. Inside the October issue Elle features "Our Favorite 25-SomethingsWhen elle touched down 25 years ago, wham’s “careless whisper” topped the charts, back to the future ruled, the cosby show was number one—and a new generation of smart, talented, game-changing artists, filmmakers, actresses, and activists were busy being born. what will these 25-somethings do with the next 25 years? We can’t wait to see…"
Take a look at the Elle 25th anniversary covers below. 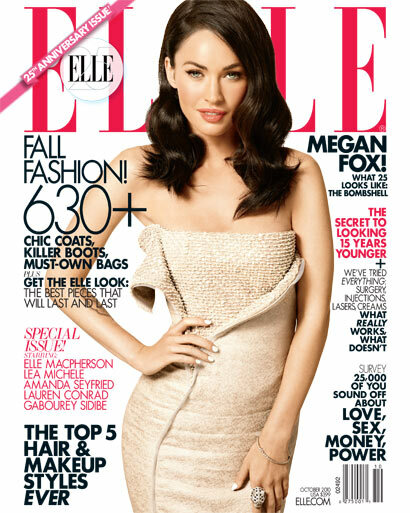 Are you a fan of Elle magazine and will you be purchasing their 25 Anniversary issue? Leave a comment. kool gabby made the cover!